Ned Kahn's Shimmer Wall consists of 10,824 individual 5-inch-square aluminum panels covering 3,000 sq. ft. along the exterior of the three-story expansion, the Nicholas and Athena Karabots Pavilion. 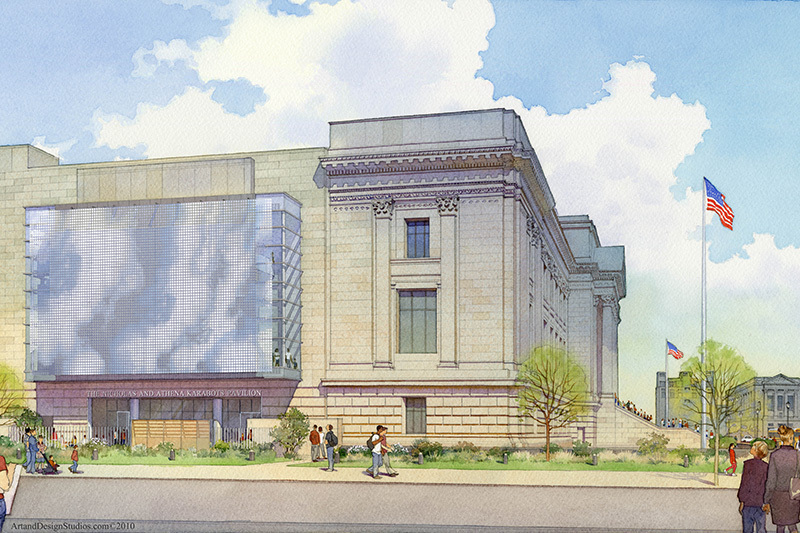 A complete makeover for Philadelphia’s nationally renowned science museum. 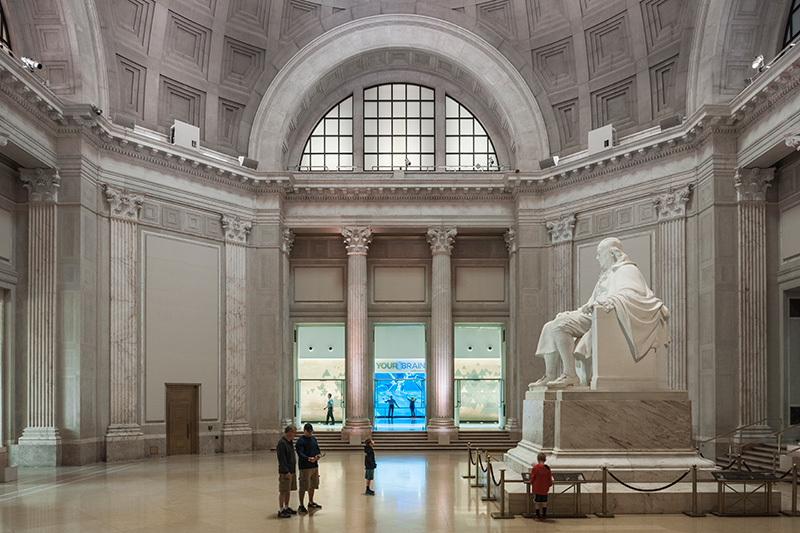 For the past fourteen years, Becker & Frondorf has worked with The Franklin Institute to renovate and expand one of the most-visited tourist attractions in Philadelphia. 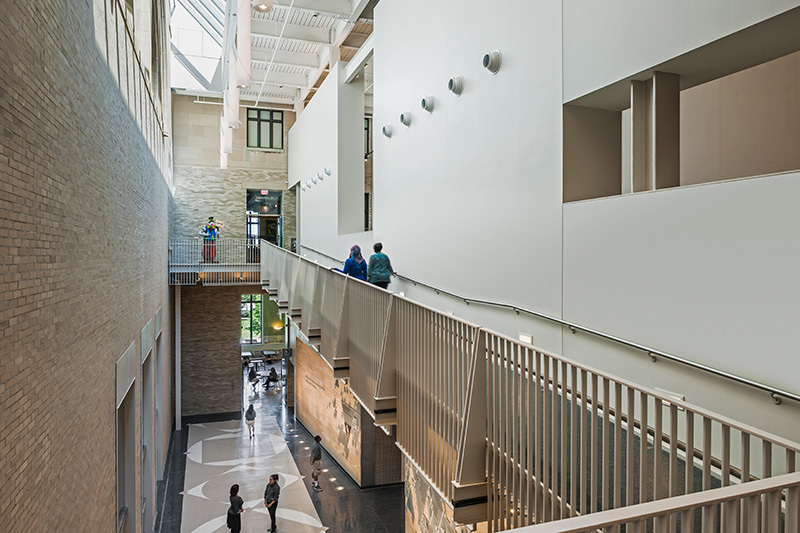 Since 1998, we have managed nine separate phases of interior renovations totaling approximately $125 million resulting in the complete modernization of the 300,000 square foot building. The program included a comprehensive update of each exhibit and upgrades to the building infrastructure. 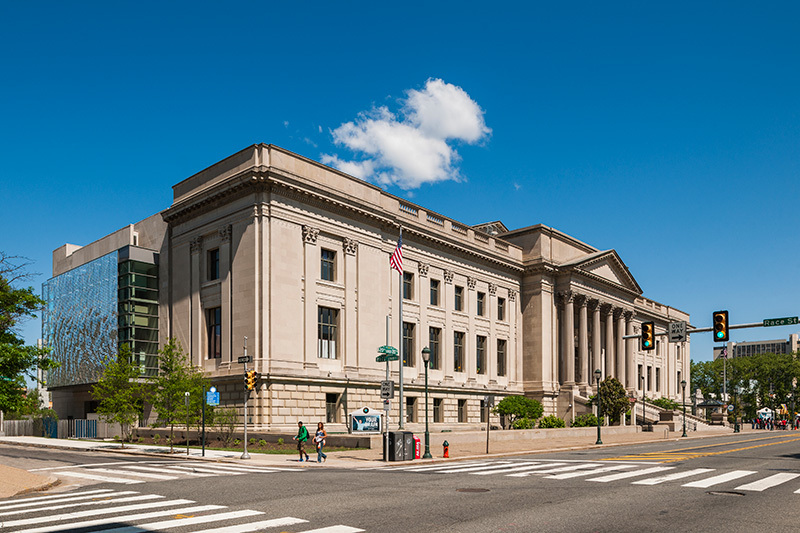 In 2014, The Franklin Institute opened the Karabots Pavilion, a new $40 million, 56,000 square foot facility. 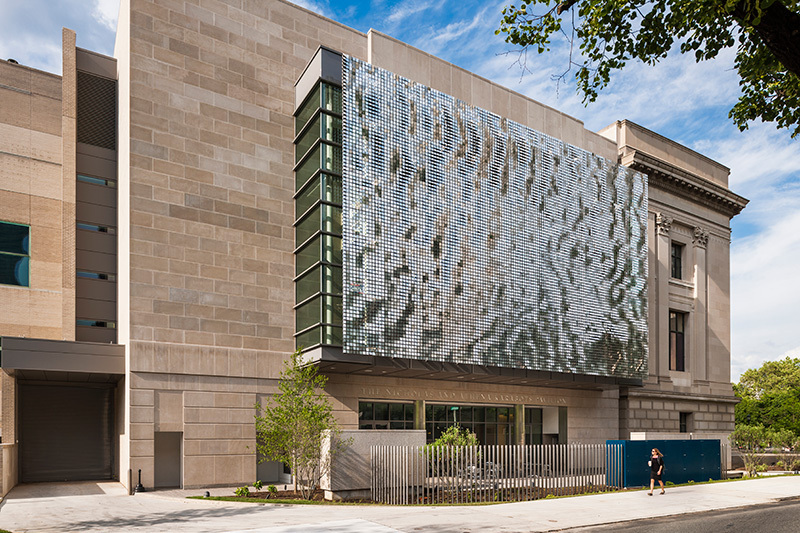 The LEED Silver addition houses a new 10,000 square foot feature exhibit on the human brain, a 10,000 square foot temporary exhibit gallery, and an education and conference center.